Well, I couldn’t stand it. So I worked on the dud. 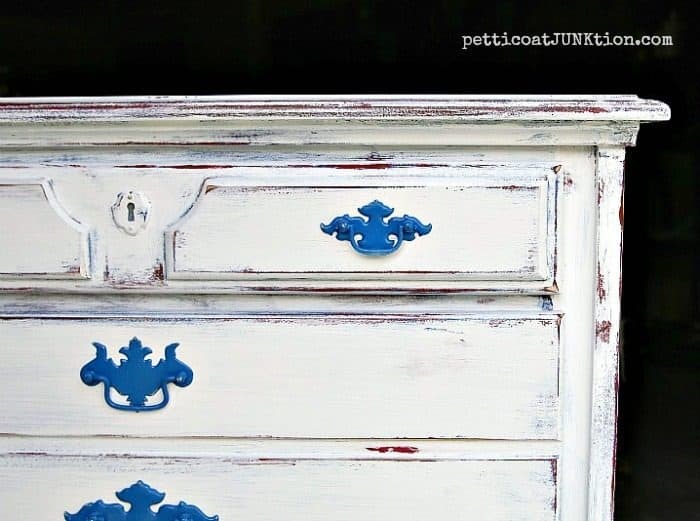 I know most of you commented favorably on the Red White Blue Furniture Makeover Is A Dud post but the more I looked at the chest of drawers the more I hated it. If you guys missed the post you can click that pink post link above and get a look at the dud. I still haven’t posted the layered paint project technique but I will next week. I hate to write a tutorial if the project doesn’t go well but I will on this one. One of the problems was that the only white paint I had in my stock was a semi-gloss. I should have known better but I didn’t want to go to the store and get anything else. I’m lazy…and cheap. So the semi-gloss was super shiny and it also was a little thick. The JTS and I had to go to Home Depot for something and I grabbed a can of flat white!! I’m really loving the flat finish for furniture. I also got a can of blue spray paint for the hardware. The blue happened to match the blue I used for the second layer of paint. How perfect is that. I like painting hardware. I don’t find it tacky at all. I do like to work with the original hardware and leave the finish as is when appropriate for the furniture makeover. 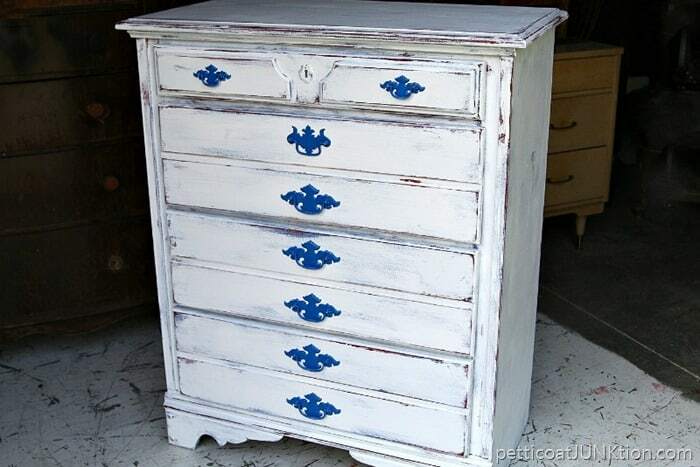 After I painted the whole thing again with flat white paint I distressed…….lightly! How do you like it now? Better? Or did you like the first makeover? The $100 Lowes Gift Card Giveaway winner has been randomly selected and emailed. If I don’t get a response within 48 hours of emailing the winner I will have to push the button on the Rafflecopter and select another winner. Please check your emails. Great makeover! I think the blue handles add a fun unexpected touch. Thank you for linking up to #HomeMattersParty this week. I took a look at your original makeover and I actually thought it looked nice. I do like that you painted the hardware blue this time, though. 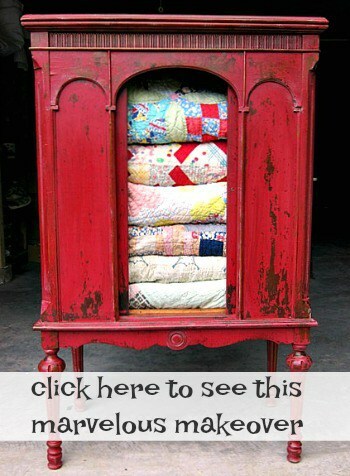 Very pretty furniture makeover! Thanks for sharing with us at Merry Monday this week! I went back to see the original post about this red white and blue chest. I do like it better now. Although I could certainly see the original working in the right room. With less distressing and the blue handles, it looks great! You nailed it this time! I am sure that you are glad that you made the effort to redo. That always feels so good. Thanks for sharing. I am now inspired to use some of that style of pulls that I usually replace, I have quite a few in my stash. I always feel like they belong on something very country in a boy’s room, with knotty pine. Perhaps because that is where I had so many of them. Now I am inspired to get them out and try a fun paint color on them. That changes the whole vibe. Looks awesome. You did a great job, as usually. Love it with the hardware painted blue now. I love that the hardware shows up now. And yes it is so much better with this finish. Love how it turned out! 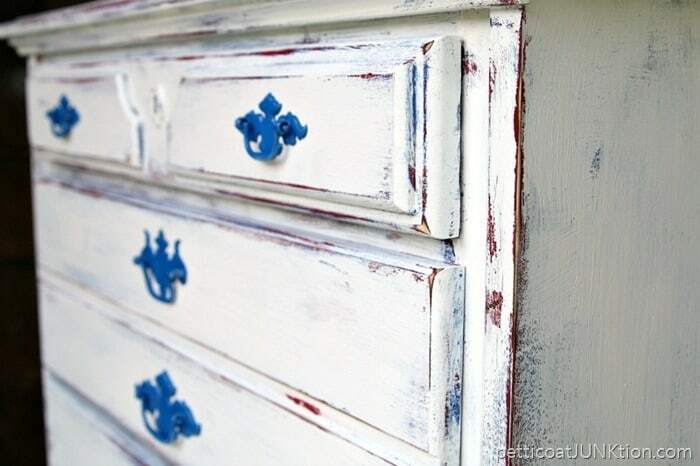 Question…when painting furniture with flat paint do you have to protect it with a wax? Thank you! Flat paint does not require sealing. Sometimes I will wax the paint depending on the color. When you run your hand across flat paint there is sometimes a residue that shows up. Of course if the piece will be seeing a lot of use then I would definitely seal it! I like the dresser now. Was not excited about the other way. Painting the pulls that nice blue contrasting color made the biggest difference! It’s so cute! Much better. 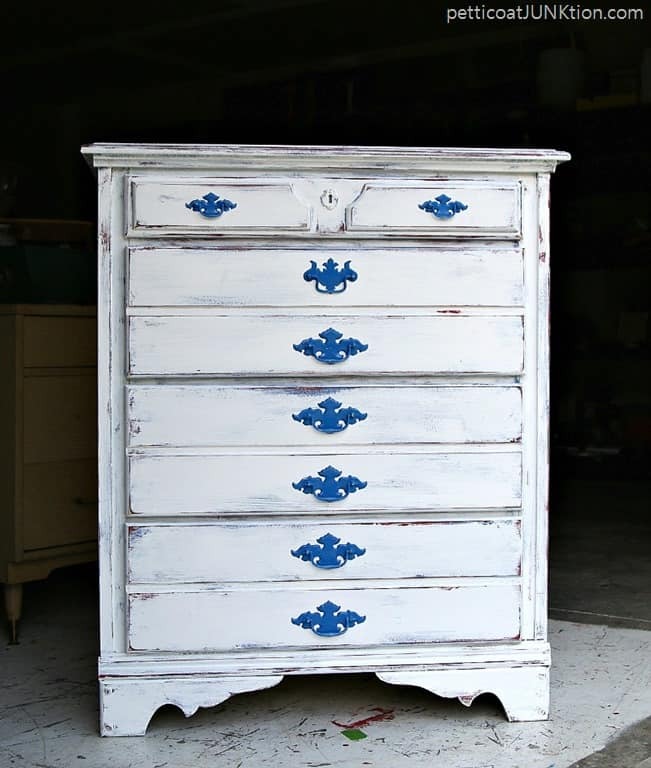 On the semi-gloss thing – I’ve had good luck adding plaster of paris and water to make it into chalk paint! I absolutely love it! Turned out way better 2nd go round! And LOVE the blue hardware! Great improvement! 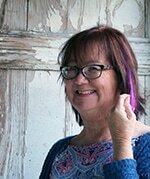 I love the fact that you share your duds as well as your “Wows”! It looks gorgeous!! I agree this one is better, love the blue handles – so pretty.